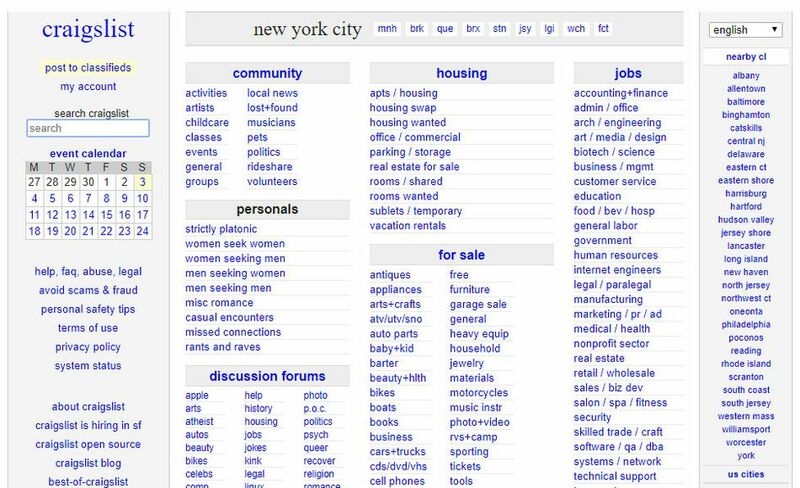 Craigslist is a nationwide classified ad service and one of the first to offer business opportunities via the web. First, find your city and then find the help wanted section. Since Craigslist is sorted by location, this is one of the best ways to keep your job search local. However, be wary of Craigslist posting because positions can be low-quality. In fact, there is some evidence here that freelance writers may want to skip Craigslist altogether. However, if you get paid half the fee up front and have something in writing and you have time to spare, you've covered your bases and it's worth checking out. FWJ sometimes includes office-based positions for those looking for writing jobs in New York City in addition to other specific areas of the country. One of the best things about this ​website is that it is updated very often so you won't waste your time applying for positions already filled. The great thing about Morning Coffee is that when it arrives in your inbox, your next freelance assignment is just a click away. The only caveat is that it's easy to let the convenience of these enticing emails distract you from your current assignment. Sologig advertises itself as a place to visit if you're a freelancer or contractor seeking work. The clean look and clean interface of this virtual location makes it a pleasant drop-by for the job seeker. For those who are looking for location-specific jobs, this list of web-based job posts is a great place to get started.